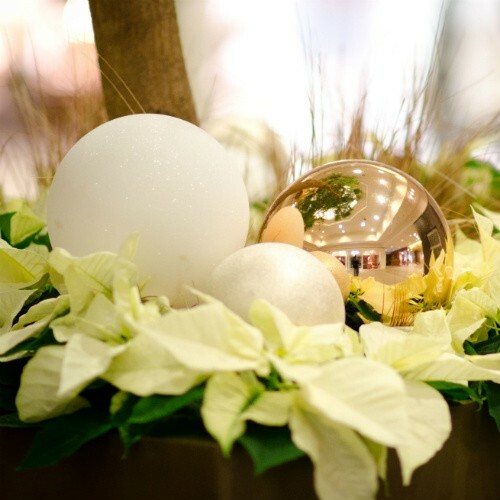 A local mall with “shops of distinction” wanted a fresh look for the holiday season. 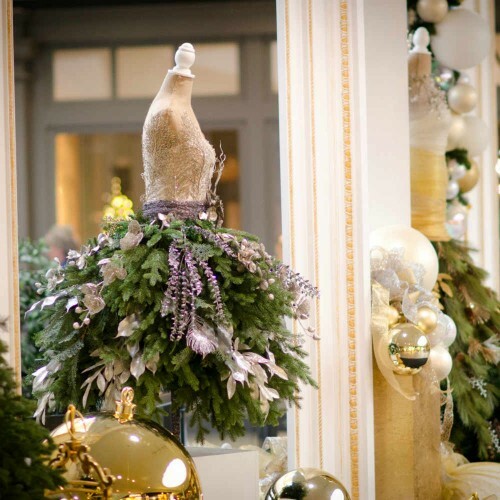 JJDesigns came to us with a vision of modern, fresh and yet traditional. 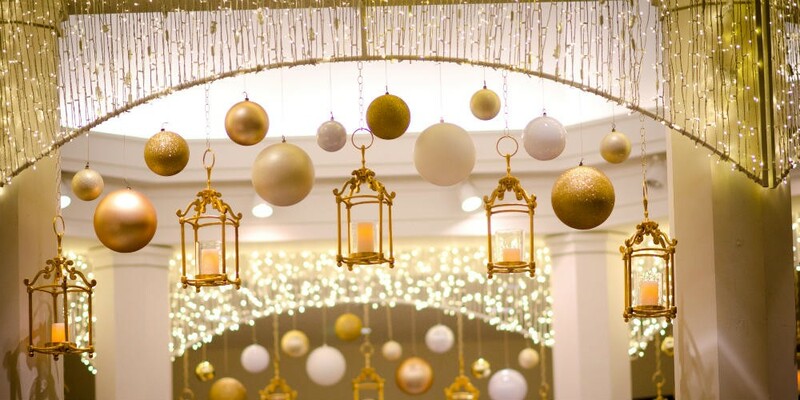 The color palette was to be in the golds and whites, with touches of platinum. 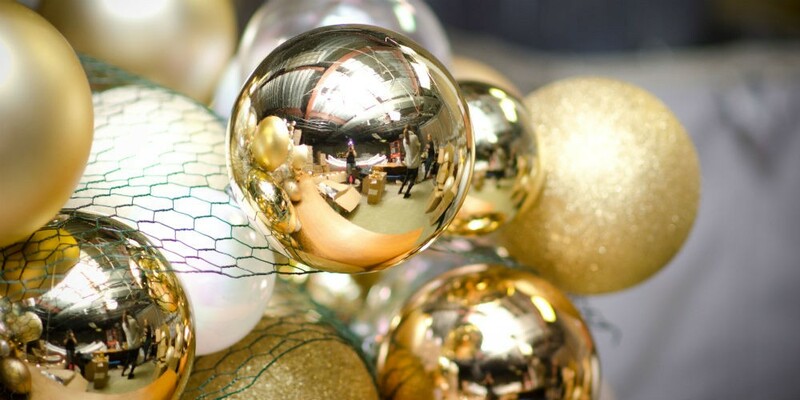 Her inspiration came from photos of ornaments being used in abundant quantities laid over mantles and trees. 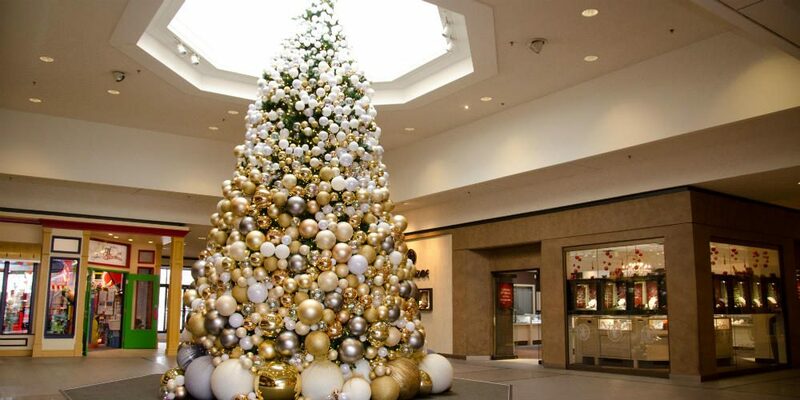 Over 4000 ornaments were used on a 20-foot tree. Flexible chicken wire was the base to attach the balls and layered as swags around the tree. 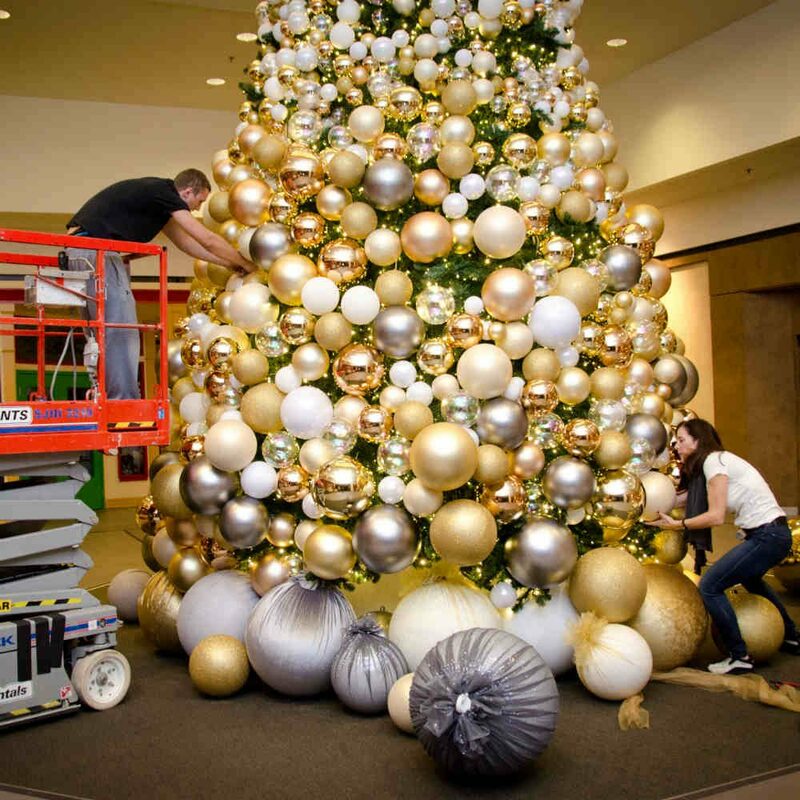 The ornaments were designed to go from light colored, 4″ balls at the top of the tree to dark, 24″ balls at the base. 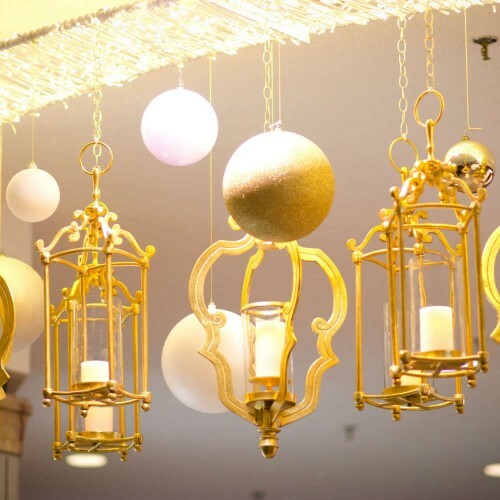 Custom powder-coated armatures were wrapped with hundreds of lights and hung at the staircase colonnades and intermittently in the mall corridors. 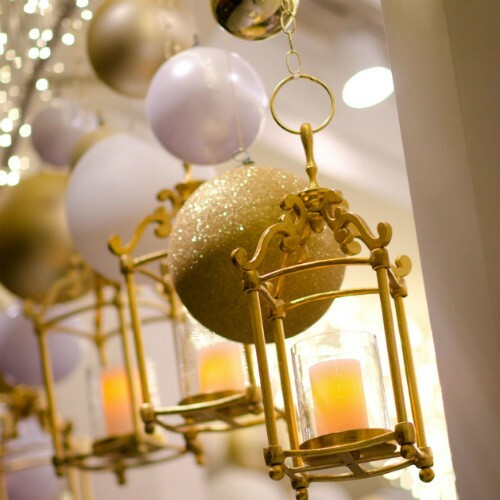 A variety of ornaments and brass lanterns hung from each armature. The battery operated candles were lit for all of the mall hours of operation. 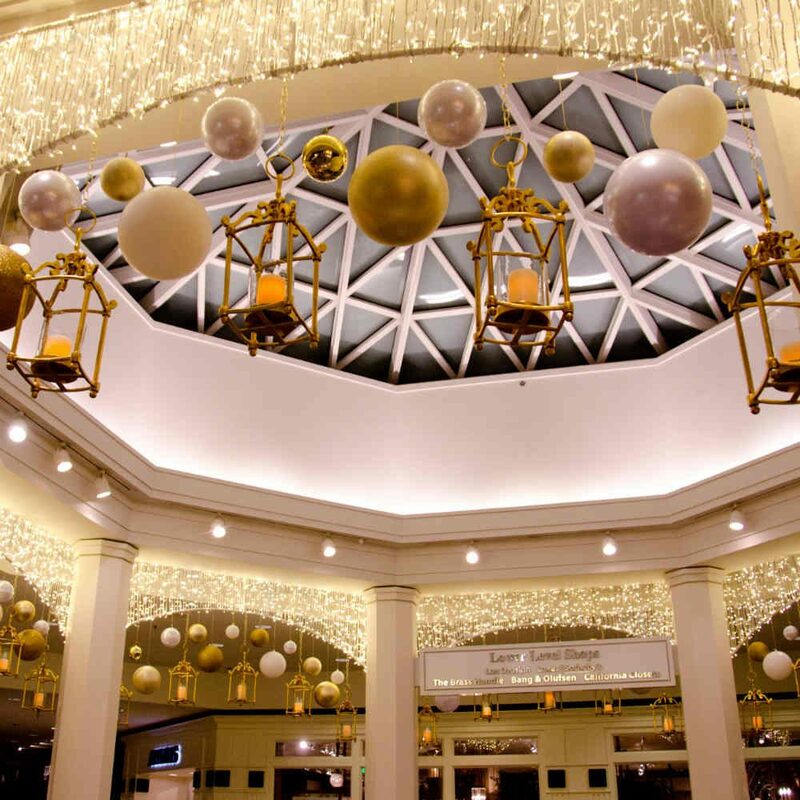 At one end of the mall, we build three 10-foot tall frames, painted white and then gilded. Our client worked with students at a design school to create dresses out of greenery. 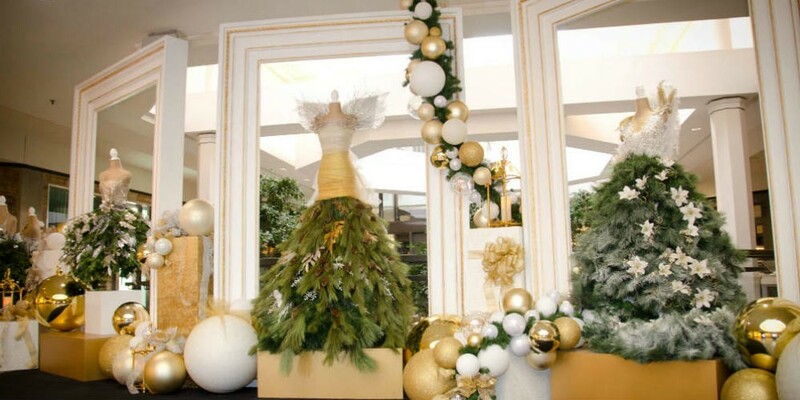 A contest for the opening holiday shopping weekend attracted customers to vote on their favorite dress, which would then be featured in the center frame for the entire season.